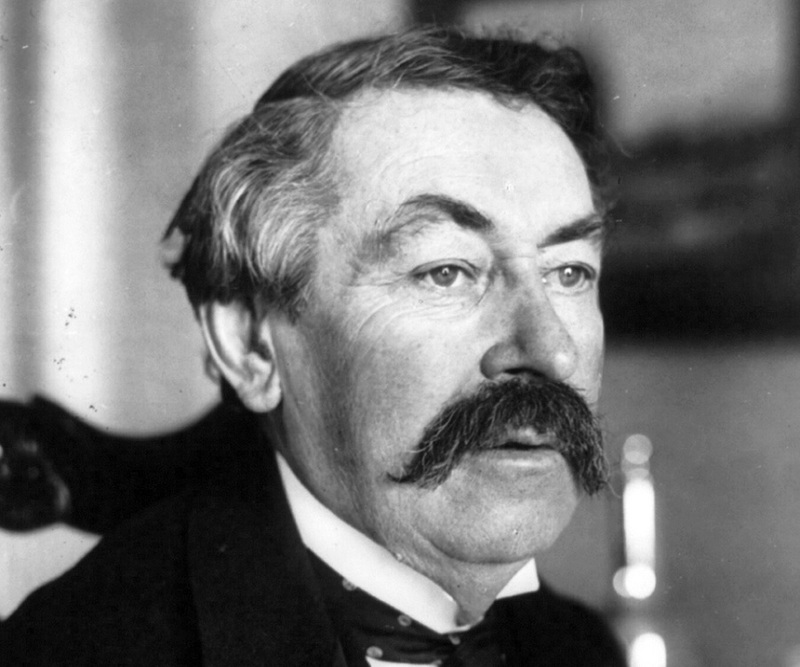 Aristide Briand was a French statesman, who became the Prime Minister of French Republic eleven times. Check out this biography to know about his childhood, life, achievements, works & timeline. Aristide Briand was a French statesman, who became the Prime Minister of French Republic eleven times and held the post of the Foreign Minister for the longest period. Though he started his political career as a member of French Socialist Party, he rose above the party line to do what he thought was the best. In his very first term as a Deputy, he worked to separate the church from the state and went to the extent of joining a bourgeois government to complete his task; thus losing the membership of the Socialist Party. However, unlike many others, he did not form any political party, but took up various posts under different prime ministers. In later years, his main objective was to eliminate war from international arena. It is an irony that he had to lead the nation through World War I. After the war he took initiative to usher in permanent peace and received Nobel Peace Prize for that. All through his career was renowned for his persuasiveness and personal diplomacy. His habit of attacking the core of the problem rather than trying to cure the symptoms was appreciated by the international leaders of that period. Aristide Briand was born on March 28, 1862, in Nantes in Western France, to Pierre Guillaume Briand and Madeleine Boucheau. His parents, who belonged to petit bourgeois class, were prosperous innkeepers. As a result, he was as much a peasant as an aristocrat and had the attributes of both. Aristide started his education at Saint Nazaire. Later, he did his secondary schooling at Nantes Lycée and finally went to Paris to study law. There he became attracted to left wing politics. Briand was never a studious boy and rarely studied unless the examination was near. Then he would concentrate greatly and aided by his extraordinary intelligence and memory he would fly through his examination, leaving his peers behind. Although Briand established his practice after graduating with a degree of law his real interest lay in journalism. He soon took that up as his profession and began to write for journals like Le Peuple. The paper was a staunch supporter of syndicalism. Later, he joined La Lanterne and then Petite République. 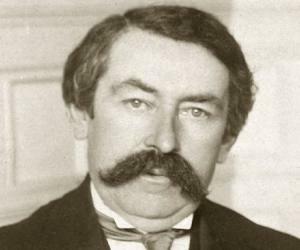 Aristide Briand became a member of the French Socialist Party while he was still a law student. Later, he also became an active member of labor union. In 1889 election, he ran for a seat in the Chamber of Deputies, but lost. He tried once more in 1893; this time too he was unsuccessful in securing a seat. Nonetheless, his influence within the party began to grow. In 1894, while attending worker’s congress in Nantes, Briand was able to persuade the trade unionists to adopt general strike as a tool for advancing workers’ cause. In this, he had to go against heavyweight leaders like Jules Guesde. After the Nantes workers congress, Briand began to be considered as one of the leaders of French Socialist Party. In spite of that, he lost the 1898 election. However, such loss did not make him any less popular and in 1901, he became the General Secretary of the French Socialist Party. Finally in 1902, at the age of forty, he was elected as a Deputy for the first time. Immediately he began working on a law that aimed to separate the church and the state and became the moving force behind the commission that was created to prepare the draft. In 1904, while he was still working on the law relating to the separation of the church and the state, Briand joined Jean Jaurès to co-found ‘L'Humanité’, a daily newspaper associated with the French Communist Party. However, it is now AN independent paper, but still very popular. 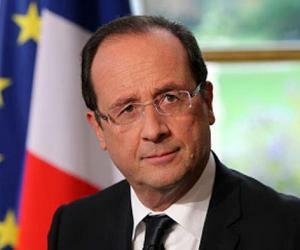 On December 9, 1905, the law that established secularism in France was passed with a slight alteration. It was based on three important principles; the neutrality of the state, the freedom of religion, and the public powers related to the church. The bill was supported by most sections and with its passage Briand began to be considered as one of the future leaders of the country. Although he belonged to Socialist Party, in 1906, he was invited to join the ministry of Ferdinand Sarrien as a Minister of Public Instruction and Worship. Eager to carry forward the reform Briand accepted to portfolio arguing that socialists should cooperate with others in all kinds of reforms. 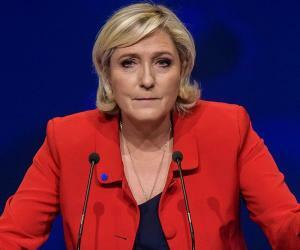 However, his party did not agree and as a result, he had to leave the French Socialist Party. In October, 1906, the ministry of Ferdinand Sarrien tendered their resignation and Georges Clemenceau was invited to form the new government. Briand retained his post in the new government and served in the same capacity until 1909. On July 24, 1909, Aristide Briand succeeded Clemenceau as the Prime Minister of France and served in that capacity till March 2, 1911. In April, 1910, his ministry passed a bill that provided pensions to workers and farmers. In addition, he had also introduced another bill, which provided for compulsory sickness and old age insurance for 8 million rural workers. However, in 1912, some of its provisions were struck down by the court as unconstitutional and this greatly reduced its importance. Although he was a socialist by heart, he never hesitated to join the right wing parties if he thought he had something to contribute. Consequently, in 1912, he joined the cabinet of Raymond Poincare belonging to right wing politics as a Minister of Justice. In 1913, Briand became Prime Minister once again for a brief period from January 21, 1913 to March 22, 1913. When the World War I broke out in August 1914, he became the Minister of Justice in René Viviani’s cabinet and served in that capacity until October 1915. On October 29, 1915, Briand succeeded Viviani as the Prime Minister of France. 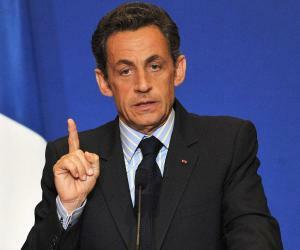 This time he also held the portfolio of the foreign ministry and concentrated on uniting the Allies. It was a critical time for France and Briand coped as well as he could. Going against the advice of the military generals, Briand devised a highly successful strategy of attacking Bulgaria, Austria and Turkey through Greece. Besides, he strengthened the French high command and got Italy as a new alley. However, there were other problems to tackle. By December 1916, Briand had formed his sixth cabinet. Yet, the war effort was still not up to the expectation. With the failure of the Balkan Expedition, pressure on him began to mount. He barely survived a no confidence motion. Ultimately, he resigned on March 20, 1917. After resigning from the post of Prime Minister, he led an apolitical life for three years. Nonetheless, he spoke in strong terms in favour of the League of Nations and also about the concept of collective security. He next returned to power in January, 1921. This time too he held the foreign office and represented France at the Washington Naval Conference. He also negotiated a security pact with the British, but failed to get it ratified. His efforts to find a settlement of the reparations with the Germans also failed. Consequently, he resigned on January 22, 1922. Briand next joined the government when Paul Painlevé formed his ministry. In April, 1925, he was appointed as the Foreign Minister and held the post until his death in 1932. Interestingly, during this period, the government changed fourteen times, but Briand was always retained as the Foreign Minister. More importantly, from end of 1925 to the end of 1926, Briand himself had formed four governments. They were from November 20, 1925 to March 9, 1926; from March 9 to June 23, 1926; June 23 to July 19, 1926 and finally from July 29 to November 3, 1926. In each case, he also held the portfolio of foreign affairs. Briand was always been far ahead of his time. In 1929 and 1930, he strongly advocated a union among European states and made strong appeal in his speeches in the League of Nations. However, the proposal was never adopted. In May 1931, Briand lost a bid for Presidency of the French Republic but lost. Thereafter he retired from public life. Aristide Briand represented France in the Locarno Treaties, which was regarded as the foundation of improved international relationship in the post World War I Europe. It consisted of seven separate agreements between major European powers like Germany, Great Britain, France and Belgium. The Kellogg-Briand Pact of 1928 is another milestone in Aristide Briand’s career. The agreement officially known as ‘General Treaty for Renunciation of War as an Instrument of National Policy’ was signed by fifteen countries. It outlawed war as an instrument of resolving any kind of dispute among the signatory states. In 1926, Aristide Briand received the Nobel Peace Prize with Gustav Stresemann of Germany for his efforts in ushering international cooperation and world peace and also for his role in establishing the League of Nations. Aristride Briand died unexpectedly on March 7, 1932, in Paris, at the age of 69. He was buried at Cocherel, his country retreat.